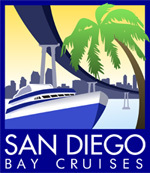 Thank you for visiting our site and your interest in San Diego Brews Cruise events. Please use the form below if you have any questions or concerns regarding our Brews Cruises. You may also use the form below if you represent a local San Diego brewery, band, DJ, or charitable cause that you’d like us to consider for future Brews Cruise events.